We specialize in sales, install, service, and repair of your propane appliances. Sweeten the deal on a new propane appliance with multiple rebate programs. We sell the very best in propane equipment for your home or business. See how you can qualify for various ongoing rebate programs. Don’t hesitate to contact us to find out more about how you can save on transitioning to propane for your heating needs. Bury the hatchet! Stop cutting wood and get up to $3000 back when you replace your old wood or pellet stove, through the San Joaquin Valley Air Pollution Control District's Burn Cleaner Rebate Program. Multiple incentives are available through the Western Propane Gas Association for various appliances. 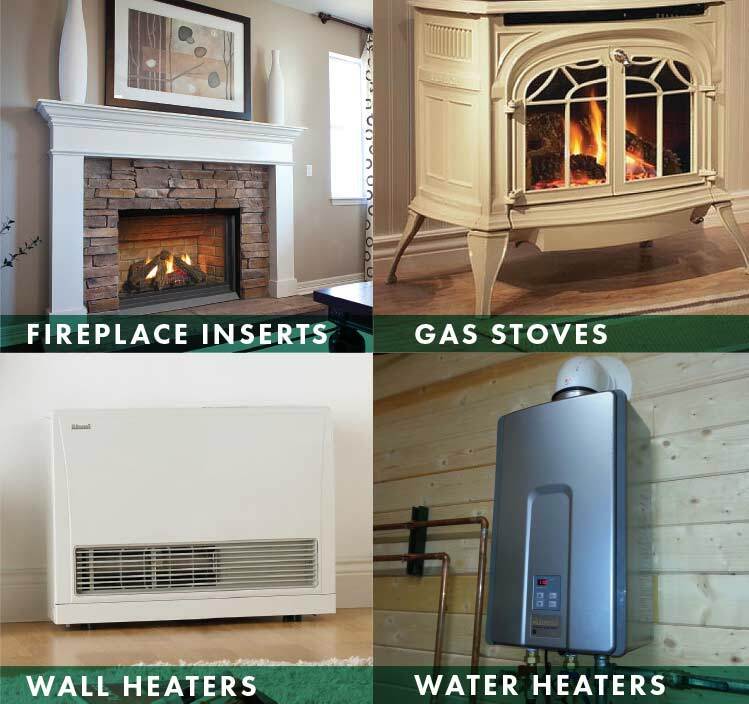 They apply to anyone replacing wood, pellet, or electric appliances with a propane appliance.